UG Courses- Completed 10+2 exam in PCM with a minimum aggregate of 45%; M.TECH- GATE exam; MBA- CAT/ C-MAT/ MAT exam. The eligibility criteria for CUSAT CAT 2019 examination are different for different programmes. Before filling up the CUSAT CAT 2019 Application Form, candidates should make sure that they fulfil the eligibility criteria. Domicile: The Indian, Foreign or PIO candidates are eligible to appear for the CUSAT CAT 2019 examination. KST and KSC Category: The Kerala Scheduled Tribe (KST) and Kerala Scheduled Caste (KSC) candidates are eligible for examination only if they secure the minimum aggregate in the qualifying examination. Number of Attempts: The candidates can attempt the CUSAT CAT 2019 multiple times as long as they satisfy other eligibility criteria. Age limit: The candidates must be 17 years of age on or before 31st December 2019 to be eligible for CUSAT CAT 2019. The maximum age limit for a candidate to apply for UG courses is 25 years on before 30th September 2019. Qualifying marks: For all the reserved category candidates, minimum 50% aggregate marks are required to qualify for examination and for the rest, minimum 60% marks in Mathematics and 60% aggregate in PCM separately. Backlogs: Candidates having any backlog in 10+2 for UG courses and graduation for PG courses, are not eligible to apply. Consideration of Gate Scorecard: The candidates applying for M.Tech Programmes with a valid GATE score card are eligible for 5% relaxation in the qualifying examination marks. A minimum of 55% marks in Mathematics separately. A minimum of Physics, Chemistry or Mathematics as one of their optional subjects. A minimum of 50% marks in Mathematics separately. A minimum of 60% aggregate in Physics, Mathematics, Chemistry and English as their main subjects. A minimum of 50% aggregate marks in English studied in either class X or XII. For this course, candidates should also provide a physical and eye fitness certificate at the time admission and they also have to fulfil the requirement of admissions based on the directions from the DG Shipping (Govt. of India). For B. tech, the candidate must pass 12th examination from the Kerala state or equivalent examination with PCM. 50% marks in Mathematics separately. Qualification: Pass in 10+2 examination of the state of Kerala or an equivalent examination with Physics, Chemistry, Mathematics, and English securing at least 60% aggregate marks in PCM and 50% marks individually in Mathematics. They must have also passed English in 10th and 12th standard with 50% marks. Age: Candidate’s age should not be more than 25 years as on 1st September 2019. Qualification: Candidates should have passed 12th examinations with a minimum of 60% marks (for science group) and 55% marks (for Arts/Commerce/Humanities group). Age: Must not be older than 20 years as on 1st July 2019 (22 years for SC/ST and OBC candidates). Qualification: Candidates must possess graduation in any discipline from a college recognized from Cochin University by securing 40% aggregate marks (35% for reserved category). Pursuing Candidates: Appearing candidates may also apply. Qualification: Science graduate with Mathematics as one of the subjects or graduate in Electronics/Information Technology /Computer Science /Computer Applications/ Engineering/Technology with 55% aggregate marks (except language & humanities). Qualification: Candidate must hold a Bachelor’s degree in Engineering with an aggregate of 60% in MBA or B.Voc degree in relevant discipline with at least 60% marks. Qualification: Bachelor’s degree in law with a minimum of 45% marks. What is the eligibility criteria for LLB course? Qualification: Candidates must possess a graduation in any discipline from a University recognized from Cochin University by securing 40% aggregate marks (35% for reserved category). What should an MBA candidate qualify ? Candidates applying for MBA programmes should clear MAT 2018/ CMAT 2018/ CAT 2018 examination to satisfy the eligibility criteria for CUSAT CAT 2018.
is it necessary to clear GATE to satisfy eligibility criteria for PG course in CUSAT? Those candidates who want to get admission into M.Tech program (except Marine engineering), have to clear GATE 2017 or DAT 2017 (conducted by the university) to satisfy the eligibility criteria. For PG Courses, SEBC-NCL candidates of Kerala state are given a relaxation of 5% in the minimum marks for or unless otherwise specified. Candidates applying for M.Tech Programmes with a valid GATE score card are eligible for 5% relaxation in the qualifying examination marks. 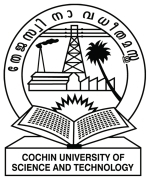 what is the eligibility criteria for UG course in CUSAT? There is a separate eligibility criteria for every programme.Candidates satisfying the eligibility criteria can fill the application form. All Indian/Foreign/PIO candidates are eligible to sit for the CUSAT test. Candidates belonging to the Kerala Scheduled Tribe (KST) and Kerala Scheduled Cast (KSC) communities are eligible only if they havE minimum passing marks in the qualifying examination except for Marine Engineering to satisfy the eligibility criteria for CUSAT CAT. For all UG courses (except Marine Engineering), the eligibility criteria for SEBC candidates with Non-Creamy Layer Status of Kerala State into B.Tech program is minimum 45% in Mathematics and 45% in PCM (Physics, Chemistry, Mathematics) put together in the qualifying examination for candidates to satisfy the eligibility criteria. Candidates who want to pursue a B.Tech programme, should have qualified class 12th from the state of Kerala or any other equivalent board with PCM.